At Sullivan Orthodontics, we are not just in the business of straightening teeth. When we help you achieve your most brilliant, healthy smile, we're working to help a friend become confident, healthy, and self-assured. Dr. Annelise Sullivan's goal is to give you the important tools to care for and maintain your phenomenal smile for life. Also, you will feel like you're catching up with old friends when seeing our excellent staff. They are a friendly, skilled, and experienced group! 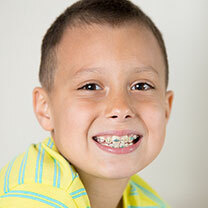 We would like your orthodontic treatment to be a positive experience. You will not only achieve a beautiful smile at the end, but will also be encouraged to participate in making good, educated decisions throughout your treatment. We want you to be able to look back and reflect on a comfortable time of life-changing self-improvement. Parents will be able to relax, flip through a current magazine or just sip coffee, feeling confident that Sullivan Orthodontics is the right place for you and your family. Contact our Brecksville orthodontic office today to schedule your complimentary consultation with Dr. Sullivan. We are the only full-time orthodontics office in Brecksville, and proudly serve the surrounding areas of Broadview Heights and Independence. Also, we have an emergency on-call cell phone, so if you ever have questions or concerns, help is just a phone call away.